Back in March, Firefox stopped supporting browser plugins, which meant Hangouts video calling stopped working. Now, finally, pluginless Hangouts videos calls are possible in the the lates version of Firefox. Hangouts Meet - the version of Hangouts for enterprise G Suite users - doesn’t work yet, but hopefully will be available soon. Google started new video series answering Webmasters' frequently asked questions about SEO and search. Subscribe to the Google Webmasters YouTube channel so you don’t miss an episode. Google Webmasters also launched a new Rich Results testing tool, and they shared some tips to get your website into shape for shift to mobile-first search indexing. 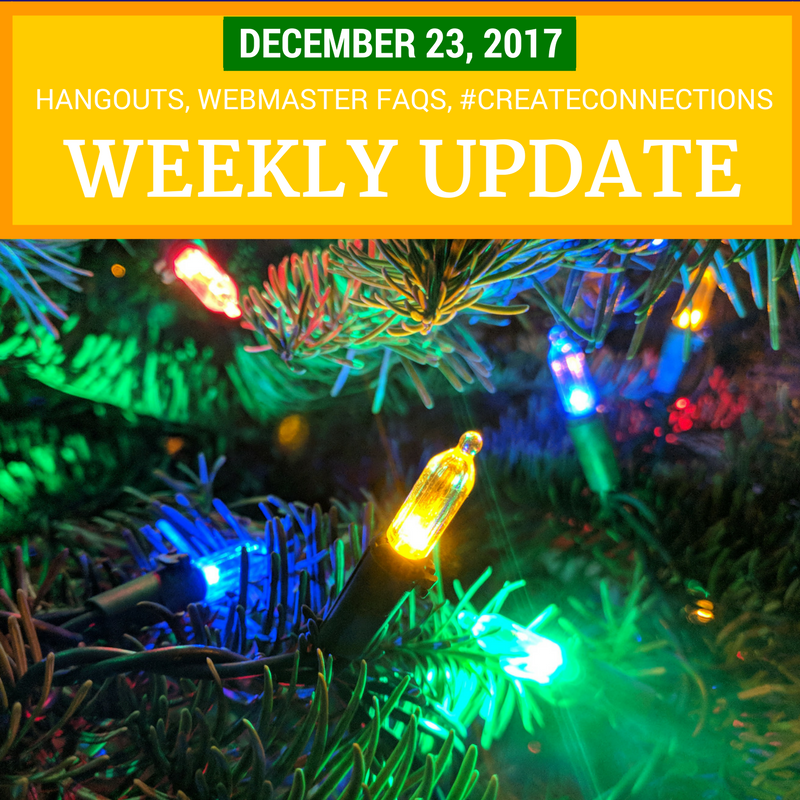 You can also look forward to learning how to improve your Google+ content with the new #CreateConnections tutorial series. Each month an experienced Plusser will provide tips in the Google+ Collections Community, based on their expertise. The series kicks off on January 3rd with travel expert and journalist Monika Fuchs, who will provide tips for creating better travel Collections. Facebook is using their facial recognition technology to notify you automatically when someone uploads a photo with you in it, even if you aren’t tagged. You can turn it off, and they assure that the technology will not be used to tell strangers who you are. Santa takes off in one day - use Google’s Santa Tracker to keep an eye on him!